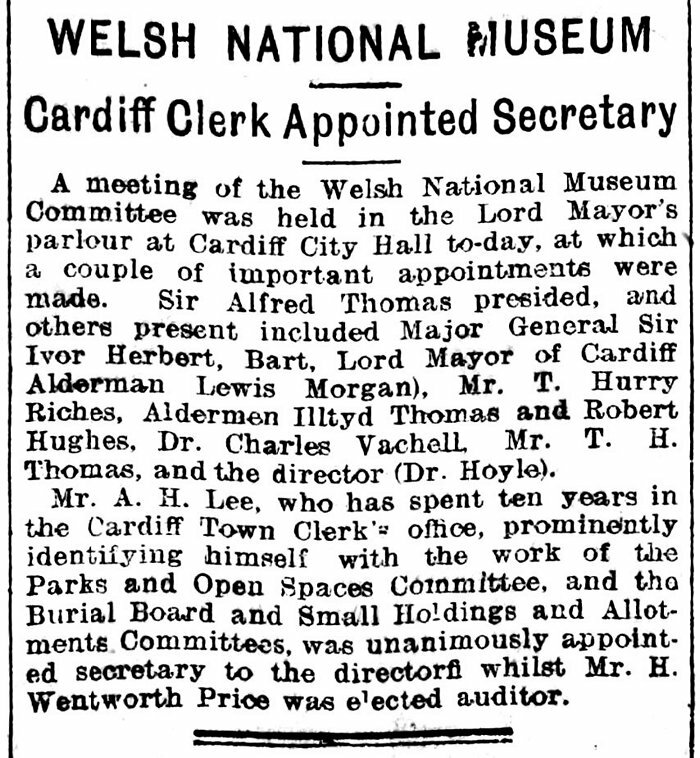 Archibald H. Lee (1890-1970) was a native of Cardiff and who, as an assistant to the Town Clerk, J. L. Wheatley, had been involved with museum matters since the days of the 'Battle of the Sites' in 1905. 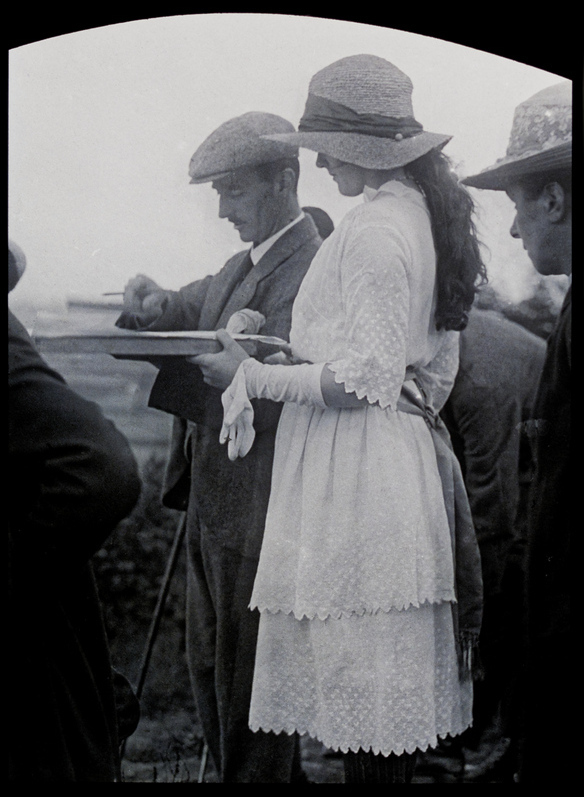 ARCHIBALD HENRY LEE, Captain, 2/5th Welsh Regiment (T.). Captain Walker, of the 7th Royal Welch Fusiliers, with Lieuts. Latham and Fletcher, and about 40 men, together with two officers, Captain A. H. Lee and Lieut. R. H. Taylor, of the 5th Welch, and an equal number of their men, organised on their own initiative a dash at the enemy's line. They rose suddenly from the ground and sprinted forward in a most gallant and inspiring fashion. The rush was so determined that they must succeed or be annihilated, and they pierced the Turkish line east of the Mosque. 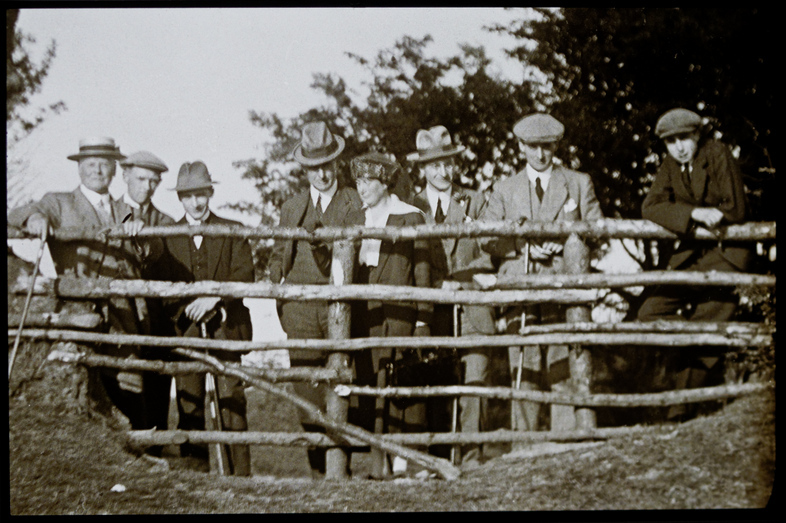 Some fierce hand to hand fighting took place amongst the cacti, but the Welsh men overcame all resistance, cleared the line, and secured a number of German, Austrian and Turkish prisoners. Captain Lee, who described his command as a mixed grill from all units in the Brigade, his own, the 5th Welch, predominating, gave a fuller account of the charge through the cactus hedges. "Our great concern was a certain cactus hedge, from which machine guns might wipe us all out as soon as we got level with it. A small party was sent off to investigate, and all being reported well we got on a few yards further, leaving Some behind (hit) at every rush forward." "Worn out and heavily laden (besides their packs the men carried extra rations, a second water bottle, and extra bandoliers of ammunition) the prospect of having to rush the entrenched and steep slopes was not a pleasant one, but with bayonets fixed and revolvers cocked, off we went with a cheer. The Turks vacated their trenches and ran. The top of the hill was reached and we rounded up many Turks. Those who ran were fired at and some bowled over." "On looking round we found ourselves behind Turks who were still firing on other oncoming troops, and we got some fine firing at their backs, until they withdrew. 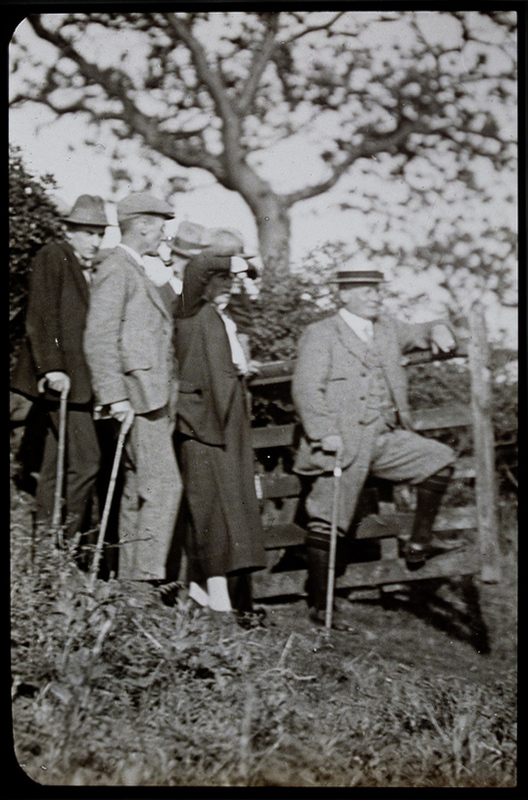 Our party had reached the top, I suppose unobserved, at any rate for a while, for we were troubled by British shells and rifle fire from converging troops. These troubles soon ceased, and Colonel Lawrence of the Cheshires came along and took command of the situation." . . .
"Water shortage was serious, and parties were sent off to collect water bottles from the dead, and ammunition from the wounded and dead." Sadly these concerns about water were something that worried senior generals and with a lack of up to date information history records that they gave an order to withdraw and it has been suggested this move snatched defeat from the jaws of victory. Lee was however awarded the Military Cross for his actions. An interesting item that I have found researching for this page is the following. 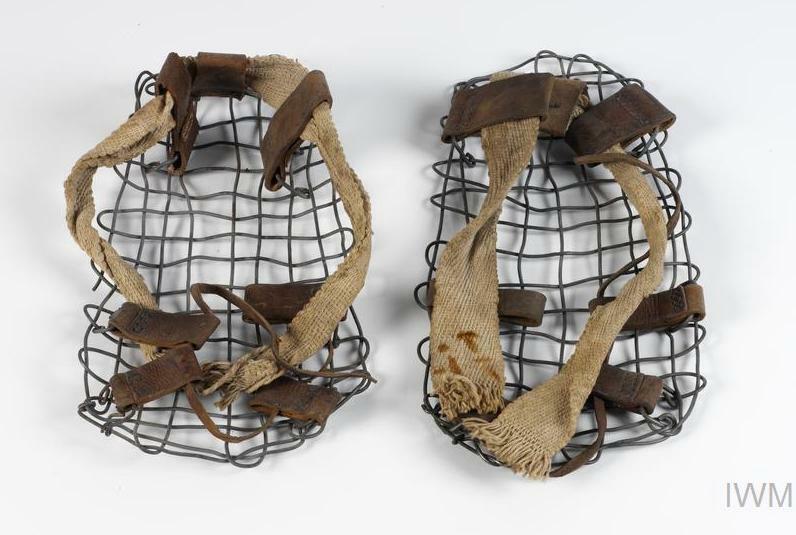 These wire sand shoes were worn by Captain A H Lee of the 1/5th Battalion, The Welsh Regiment (Lee won the MC during the First Battle for Gaza, 26 March 1917). At its last annual meeting the Society recorded its warmest appreciation of the valuable services rendered it by Mr. A. H. Lee, O.B.E., M.C., M.A., and elected him an Honorary Member.